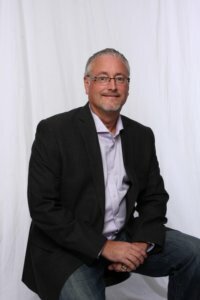 Greg Oates is Chief Innovation Officer at NEXTFactor Enterprises, which develops Destination Master Plans and Tourism Strategy Plans for all sizes of organizations in the global visitor economy. Additionally, he leads production of the bi-annual DestinationNEXT research in collaboration with Destinations International. Greg is also a consultant with the Skift Brand Strategy team, where he works with destination organizations to differentiate their value proposition in the leisure and business event sectors. Leveraging that insight, Greg speaks regularly at industry conferences about the future of destination marketing and management, based on best practices in regional collaboration. Presentation: Which Came First: The Chicken, The Egg, or the Instagram Share? With more than 40 visits to Atlantic Canada in the past five years, Chris has earned her status as an “honorary Canadian,” a title affectionately bestowed by so many tourism executives throughout the region’s four provinces. Chris is a passionate experience junkie, which fuels her expertise as a global tourism marketer for some of the largest – and smallest – travel brands in the world. She’s the principal and co-founder of Redpoint, a NYC-based agency that offers marketing, PR, consulting, and training services to travel and hospitality companies. In this role, she helps build brands and make businesses stronger with both internal and external development and communication programs. She’s a sought-after speaker, trainer, and consultant who has opened her brain – and her heart – to (literally) thousands of tourism professionals in Atlantic Canada through marketing, educational programs, and Best Practices Missions for the Atlantic Canada Agreement on Tourism, Taste of Nova Scotia, TIANS, HNL, Nova Scotia Tourism Agency, Miramichi River Tourism Association, Tourism New Brunswick, ACOA/Tourism Atlantic, South Shore Tourism Co-operative Ltd, and more. And she’s taking lots of naps in preparation for HNL 2019 because she fondly recalls the level of social stamina NL-ers have at the end of each conference day. Learn more about Chris and Redpoint at redpointspeaks.com. 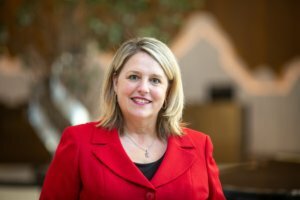 Charlotte was appointed President and CEO of the Tourism Industry Association of Canada (TIAC) in April 2015 where she is responsible for the overall leadership of the organization representing tourism interests at the national level. Canada’s tourism success stems from its unique and plentiful attributes as a destination, the professionalism and dedication of operators and the tourism workforce, as well as a cohesive national association of tourism businesses that gets results on behalf of its members. Having spent more than 25 years in the broadcasting sector in Canada prior to this, Charlotte has an extensive background in advocacy, strategic planning and public affairs. Shanna Munro assumed the role of President and Chief Executive Officer of Restaurants Canada on June 1, 2016. A senior executive with extensive experience in the foodservice, retail, entertainment and financial services industries across North America, Shanna first joined the association as Chief Operating Officer in September 2015. Shanna’s career in the foodservice industry spans more than 25 years. She started her career with priszm Brandz, previously Scott’s Restaurants, where she progressed from an hourly employee into a senior vice-president role overseeing multiple YUM! Brands concepts across Canada, including KFC, Pizza Hut, Taco Bell and Long John Silver. Prior to joining Restaurants Canada, Shanna served as President of Cash Converters, North America (Retail and Financial Services) and President and COO of Putting Edge Corp. (Retail and Entertainment). 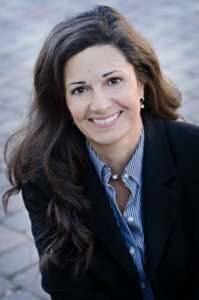 Throughout her career, Shanna has earned a reputation as a transformational leader who ignites excitement and builds strong relationships with all stakeholders. She challenges the status quo and builds effective teams. In a nutshell: she gets the job done! Shanna now plays a key leadership role in the country’s largest association for the hospitality industry, and promotes an organizational culture that fosters commitment and passion for the 30,000 businesses that belong to Restaurants Canada — including restaurants, bars, caterers and other foodservice providers in communities across the country. Shanna is originally from Ottawa and earned an MBA degree from University of Guelph. She is the mother of two daughters and resides with her husband in Newmarket, Ontario. Mr. Keith Henry is a Métis person that was born in Thompson, Manitoba and raised in Prince Albert, Saskatchewan. Mr. Henry achieved a B.Ed. from the University of Saskatchewan in 1995. Mr. Henry began his career in 1995 with teaching positions and has become well known for his strategic administrative and negotiations skills. 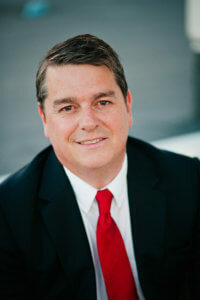 Since 1998 Mr. Henry has led numerous provincial, federal and industry negotiations on a variety of issues. He has been directly responsible for financial administration of a number of Aboriginal non-profits and has a proven track record of success. Mr. Henry has become an international Aboriginal cultural tourism leader receiving Aboriginal/Indigenous recognition as the former CEO for Aboriginal Tourism Association of British Columbia (AtBC). In April 2014, the inaugural World Indigenous Tourism Alliance award recognized the work of AtBC and Mr. Henry’s leadership. 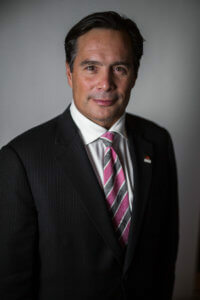 Mr. Henry has been spearheading the growth of authentic Aboriginal tourism in Canada as he worked to redevelop the national Indigenous Tourism Association of Canada as elected chair when this organization incorporated in April 2015. In October 2015 Mr. Henry took the full time role as the Indigenous Tourism Association of Canada’s CEO. In Canada Mr. Henry continues to be recognized across the country as one of the leaders in Aboriginal tourism and has led many new initiatives including the national strategy entitled “The Path Forward 2016-2021”, contributions to the development of national standards on market readiness and authenticity, cruise industry opportunities and the national Aboriginal tourism research project on the economic value of Aboriginal cultural tourism. Mr. Henry was instrumental in the development of the national Aboriginal tourism strategy The Path Forward 2016-2021 which will focus on increasing Aboriginal market readiness, increasing jobs, and increasing revenues. Over the course of the last number of years Mr. Henry has been invited to numerous international locations to support Aboriginal tourism strategies. 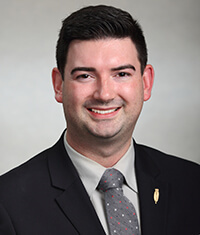 Christopher Mitchelmore was first elected to the House of Assembly in 2011 and was re-elected in November 2015. He is from Green Island Cove, a small fishing village on the Great Northern Peninsula. Mr. Mitchelmore has a Bachelor of Commerce Honours (Co-op) degree from Memorial University, with international study experience in the United Kingdom and at the University of Economics in the Czech Republic. He worked with the Department of Innovation, Business, and Rural Development; the Newfoundland and Labrador Board of Commissioners of Public Utilities (PUB); and London Offshore Consultants. Prior to entering politics, Mr. Mitchelmore worked as a client services officer and a youth ventures coordinator with the Community Business Development Corporation (CBDC) Nortip. 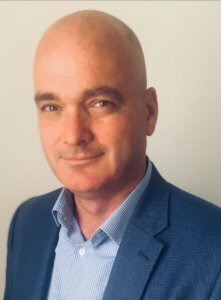 He has an extensive track record of community involvement, including time as vice president of the Straits – St. Barbe Chronic Care Corporation and director and member of the Canadian Community Economic Development Network. He was appointed Minister of Business, Tourism, Culture and Rural Development on December 14, 2015. 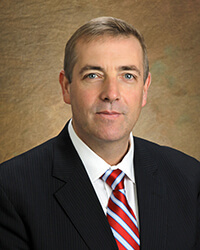 Steve Crocker was elected to the House of Assembly in November 2014 in Trinity – Bay de Verde. Since his swearing in, Mr. Crocker has served as the opposition critic for business and rural development, including the Research & Development Corporation. Mr. Crocker has been a tireless advocate for the people of Carbonear-Trinity-Bay de Verde, working hard to bring attention to critical infrastructure needs for the district. He worked as an entrepreneur at his family’s business in the district of Carbonear – Trinity – Bay de Verde and resides in Heart’s Delight-Islington. Prior to his election, he served as executive assistant to Dwight Ball, the leader of the Liberal Party of Newfoundland and Labrador. The Honourable Steve Crocker was appointed Minister of Fisheries and Aquaculture (now Fisheries and Land Resources) on December 14, 2015. 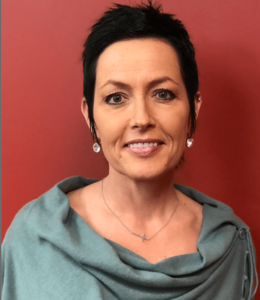 Vice President of Customer Experience, Marine Atlantic Inc.
Vicki Rose was appointed to the position of Vice President, Customer Experience in 2018. In this role, Vicki is responsible for activities that contribute to Marine Atlantic’s customer experience, including reservations, onboard hospitality, marketing, customer relations, pricing, and the fleet schedule. Prior to that, Vicki spent six years as Manager of Marketing with Marine Atlantic, building marketing strategies and executing programs to help drive traffic and customer satisfaction. Before joining Marine Atlantic, Vicki spent 15 years with Bell Aliant in various management roles, including customer retention, retail planning, product development and brand management. Reg Wright has been with the Gander International Airport Authority since 2004 and served as President and CEO since 2014. He is also the current President of the Atlantic Canada Airports Association, the voice of airports in the region. In his current role, Mr. Wright is responsible for the airport’s air service development program. He is the recipient of five international marketing awards and was named Business Aviation Magazine’s Top 40 Under 40 in 2013. He was a founding director of Adventure Central Newfoundland, the Destination Management Organization for Central Newfoundland. Before joining the GIAA, Mr. Wright spent five years as an economic development officer. Prior to that, he worked in public relations and spent 10 years working as a journalist across multiple media. Mr. Wright was born and raised in Gander where he lives with his wife and two children. For 25 years Stan Cook Jr. was the co-owner and president of an award winning nature based tourism company located in Cape Broyle. Stan’s father started offering adventure tours in 1970 with his whole clan growing up in this family business. Over those years they have been recognized with more than a dozen provincial and national tourism awards. In summer of 2018, having closed the adventure business, Stan ran the Base Camp, located on Inuit owned land, situated adjacent to the southern boundary of the Torngat Mountains National Park and coordinated the multiday heli-hiking packages. Since Autumn of 2018 Stan has been Adventure Tourism Advisor/Consultant for the Internationally renowned Fogo Island Inn. His role is providing expertise and support to improve performance in terms of strategy, operations and structure. Presently he sits as a board member of Destination Canada, the Federal Crown Corporation responsible to market Canada internationally in 10 countries, and serves on the Human Resources, Governance and Nomination committee. Stan’s tourism experience is thorough and spans organizations such as Hospitality Newfoundland and Labrador, NL Tourism Board, Marine Atlantic Inc., Gros Morne Institute of Sustainable Tourism, Tourism Industry Association of Canada (TIAC), Atlantic Canada Tourism Partnership, and Adventure Tourism Association of NL. 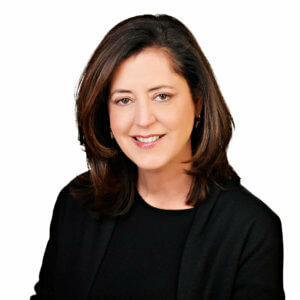 Ms. O’Reilly presently co-owns and operates five food and beverage establishments in St. John’s, NL; O’Reilly’s Irish Newfoundland Pub, Mussels on the Corner, Yellowbelly Brewery and Public House, YellowBelly Deli and YellowBelly at YYT (St John’s international Airport). In addition to these locations, Brenda and her husband/business partner, Craig Flynn, recently purchased the former Immaculate Conception Cathedral located in Harbour Grace, NL. The full project will house a brewery, canning plant, distillery, restaurant/pub/tasting room, conference/event space, a boutique hotel & beer spa. Brenda has served a 19 year term on the Restaurants Canada Board, including 1 year as Chairman of the Board from March 2009 – March 2010. Brenda has also generously volunteered her time to many other organizations such as the St. John’s Board of Trade, Hospitality NL, RANL, George Street Association and NL Liquor Corporation, to name a few. 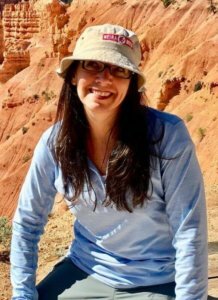 With an education in tourism and business management, Kelly brings twenty three years’ experience to the tourism industry. 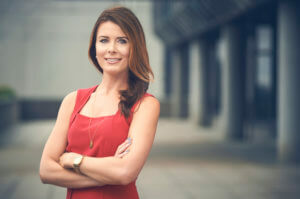 In the first half of her career, Kelly worked in sales for Canadian Pacific Hotels and Fairmont Hotels & Resorts; during this time she was awarded the President’s Award for Top Sales Achievement in the company. Kelly continued her career in sales as Director of Sales and Marketing with Destination St. John’s. For the past eleven years, Kelly managed hotels such as Courtyard by Marriott St. John’s, The Leaside Group and Murray Premises Hotel. 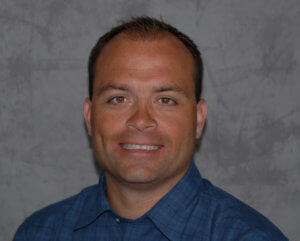 Kelly is currently General Manager of The Wilds Resort & Conference Center. Kelly is a past Board Director of Hospitality Newfoundland and Labrador, Destination St. John’s and St. John’s Board of Trade. She is co-founder and past president of Rotary Club of St. John’s After Hours where she was actively involved in building the organization and its mandate from the ground up. Kelly is a Tourism Certified Professional with Tourism HR Canada and conducts training sessions on networking and sales. Following a demanding 26-year career as a nurse, Michelle along with her husband and business partner Shawn decided that life is too short to say “what if” and were determined to make their dream of building a luxury resort come true. Indian Falls Chalets is located on the banks of Indian River near Springdale, the heart of tourism in Central Newfoundland. The 4.5-star vacation rentals are nestled in peaceful surroundings with world-class sport fishing, hunting and year-round outdoor on the doorstep. Indian Falls Chalets offers vacationers sense of cool, modern comfort and relaxed luxury in the wild and rugged landscape of beautiful Newfoundland. Todd Wight is a Co-Owner and the General Manager of the Ocean View Hotel in Rocky Harbour, Gros Morne National Park. Todd’s tourism background includes many roles in tourism development with Hospitality Newfoundland and Labrador, NL Tourism Board, Gros Morne Cooperating Association, GMIST, Hotel Motel Association of NL, NL Outfitters Association and most recently as Chair of the Gros Morne region’s STAR Committee which is undertaking a region wide tourism development plan. Todd is currently managing hotel expansion and upgrade project at the Ocean View. 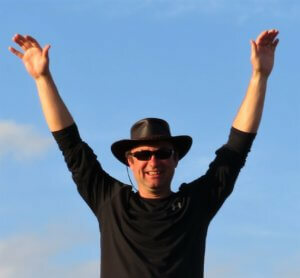 Todd is an avid outdoors lover and spends most of his off days with family enjoying life at the cabin! Ang is the General Manager/Operator/Head Chef at the Florian Hotel in Forteau, Labrador. Ang has a Business Degree with a concentration in Marketing & Human Resources. 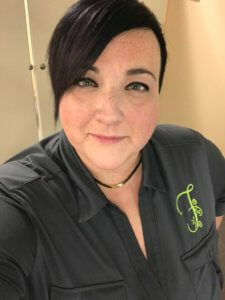 With over 20 years of experience in the industry, Ang has recently broadened her culinary experience to Basque Cuisine and currently works with Sparks Canada. 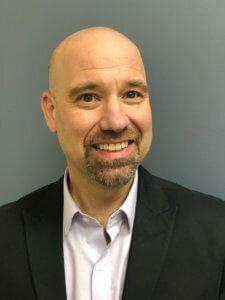 Doug has been in the Pest Management industry for 34 years and is currently the Regional Manager for Atlantic Canada and Northern Ontario for Abell Pest Control. The recipe for Chris Sheppard’s success starts off with 25 years in the restaurant and tourism industry, add in a Masters of Tourism Management and times that by the three restaurants he has owned, it equals a lifetime of knowledge to assist you with your food costing. Chris is best known for his achievements in food tourism including the successful food festivals he started and runs. Roots, Rants & Roars and Eat The Hill have become internationally recognized events for tourist and chefs alike. 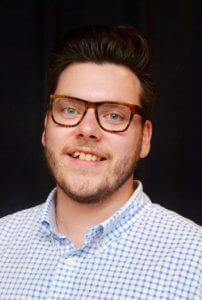 Recently he started a new role at Destination St. John’s as their Partner Relations and Experience Development Specialist – guiding tour operators in the development of authentic Newfoundland & Labrador experiences. The food costing session will help you increase your bottom line by providing you with tools to help you find efficiencies in your menu pricing. The session will also touch on cost control and menu mix. Philip Cave is the Key Account Specialist for Newfoundland Power’s takeCHARGE energy efficiency program. In this role, Philip works closely with customers of takeCHARGE Business Efficiency Program, helping them to meet their energy efficiency goals. Philip is a native of Corner Brook and is a proud graduate of Memorial University’s Bachelor of Commerce Program. He believes strongly in giving back to his community and is always ready, willing and able to help with any energy efficiency questions you may have.